Women made up the majority of the crowd, which on Friday evening assembled at the edge of the city’s Takism Square before hundreds of riot police blocked its path, preventing protesters from advancing along Istikal Avenue, the area’s main pedestrianised shopping street. Several thousands of demonstrators had been allowed into a small part of the avenue to stage the protest. They carried banners reading “Feminist revolt against male violence and poverty” and “I was born free and I will live free” and many wore purple, a colour associated with the women’s rights movement. The crowd also chanted slogans such as, “We are not silent, we are not scared, we are not obeying,” before becoming trapped between two security cordons. Videos shared on social media showed security forces pushing protesters and firing tear gas to disperse the crowd. According to AFP news agency, police also used dogs to force the protesters down side streets. It was not immediately clear if anyone was hurt or arrested. “Here is the bitter truth: There is a system, there is a state that is scared of us,” a woman named Ulker told AFP from behind the police cordon. 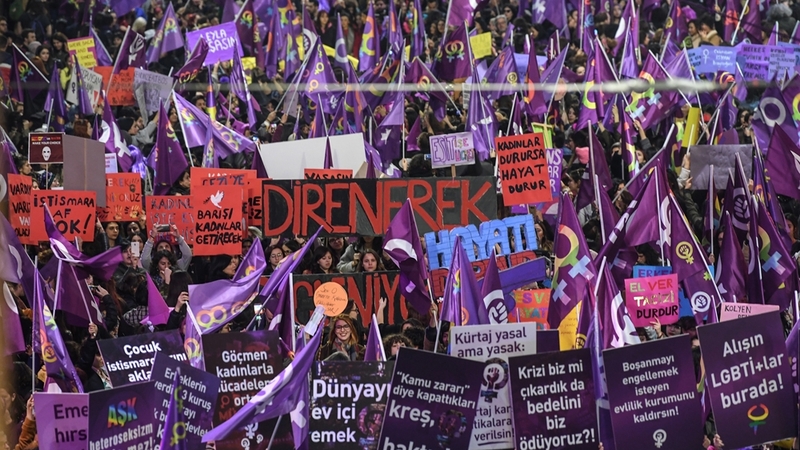 Last year, the Women’s Day march in Istanbul took place peacefully but just before Friday’s event, authorities issued a statement banning any demonstration on Istikal Avenue. Rallies were also held on Friday in the Turkish capital, Ankara, where a few hundred women protested with a small police presence. Protesters were galvanised by the start of a high-profile domestic abuse trial on Thursday. Turkish pop singer Sila brought her partner Ahmet Kural, a famous actor, to court, claiming he beat her. According to World Health Organization (WHO) figures from 2017, about one in three women worldwide have experienced physical violence in their lifetime. Similar protests took place without incident in cities around the world, where women and men called for an end to gender inequality. In the German capital, Berlin, authorities declared International Women’s Day a formal holiday, with thousands joining a colourful demonstration in the city centre. Meanwhile, in the French capital, Paris, demonstrators from Amnesty International waves placards outside the Saudi Arabian embassy that read “Honk for women’s rights,” and called for the release of jailed women activists, including some campaigners for the right to drive. 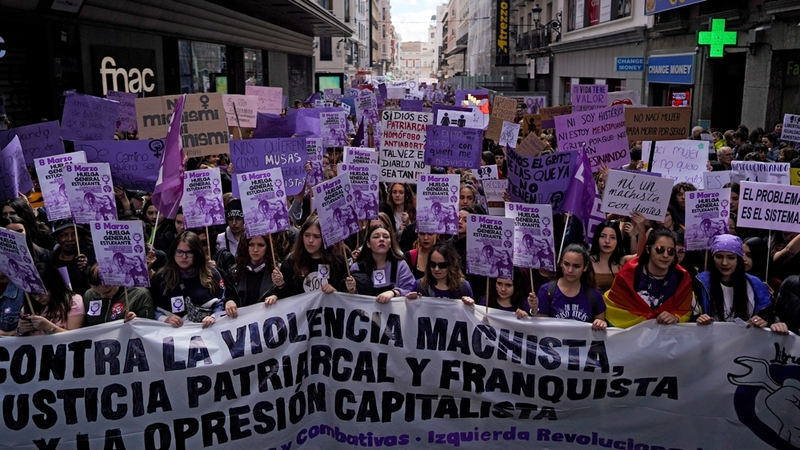 For Spaniards, gender inequality has become a divisive issue ahead of national elections on April 28, with the fledgling far-right Vox party calling for a landmark law on domestic violence to be scrapped. Trade union UGT estimated that some six million people walked off their jobs on Friday for at least two hours in a strike to demand equal pay and rights for women. “Many people are trying to demonise feminism, while it has always been a fight for equality,” Ana Sanz – a protester dressed in the red overcoat and white bonnet worn by reproductive slaves in the dystopian novel and TV series ‘The Handmaid’s Tale’ – told Reuters in Spain’s capital, Madrid. 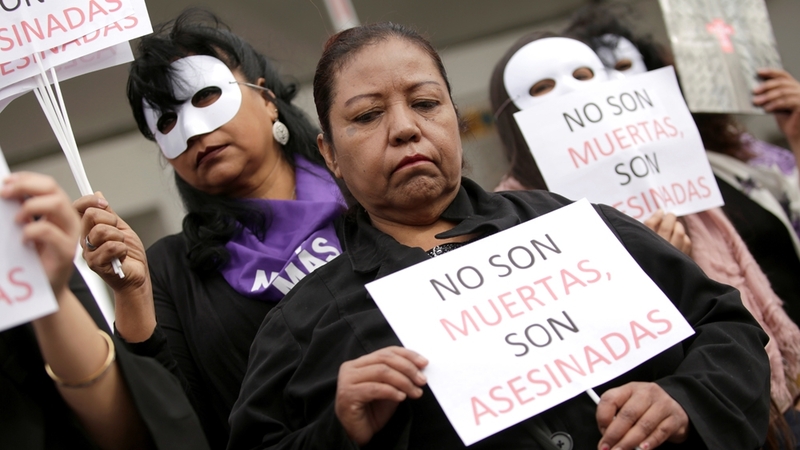 Across the Atlantic, from Buenos Aires to Mexico City, the #NiUnaMenos (Not One Less) movement was out in force, with protesters calling for an end to violence against women and femicide. International Women’s Day is celebrated in many countries around the world on March 8. It has its origins in a 1908 garment workers’ strike in New York.